Was there any heat / embers left in your fire in the morning..? 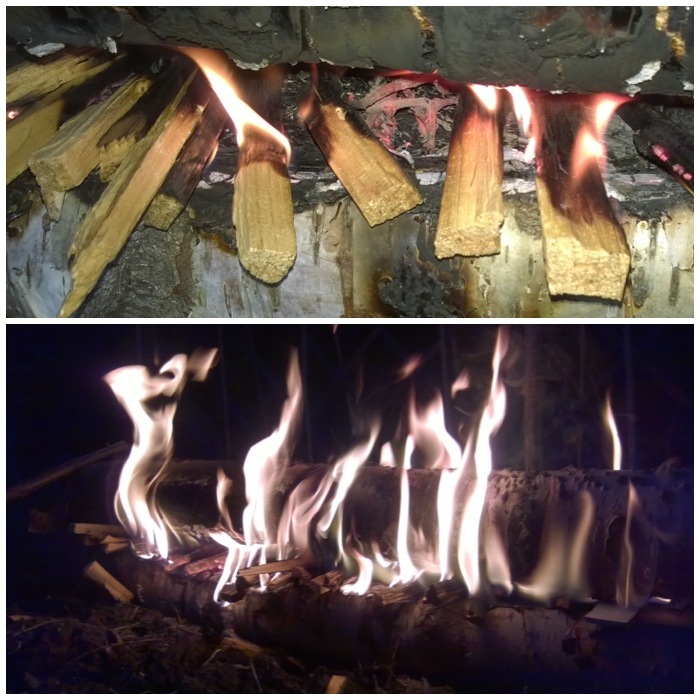 On the small scale one I did there was no embers however on the full scale ones I have used on open front shelters there are usually embers enough in the morning to get the fire going again. These fires are designed really for cold climes and to get you through the night. From what I am told (never been to the Arctic) sleeping by one of these fires is like continually napping. You waken every time the flames die down, adjust the logs, go back to sleep and repeat. This was really cool and I thank you. Its very cool seeing ways my Finnish ancestors did things and this was new to me. I cant wait to try it. Have fun experimenting Rob. I enjoyed doing the whole series. It looks like a fantastic way to stay warm. I cant wait to try it in the snow in a month or so. Have fun with it and remember to get the driest wood you can. Cheers for the advice and heads up. Hi there, nice post. I heard that the rule is one inch of diameter for every hour of heat, in other words, if you want it to last 8 hours you’d need 8 inch logs . How long did your fire last ? Did it last throughout the night ? Glad you liked the post. This was a slightly scaled down one (half the normal length) that I put together for the tutorial so it did not last all night. Full scale ones I have used have lasted most of the night however like any fire you need to waken up every now and then to adjust it. The Rakovalkea thankfully lasts longer if properly set up in between adjustments than just adding a new log every now and then. 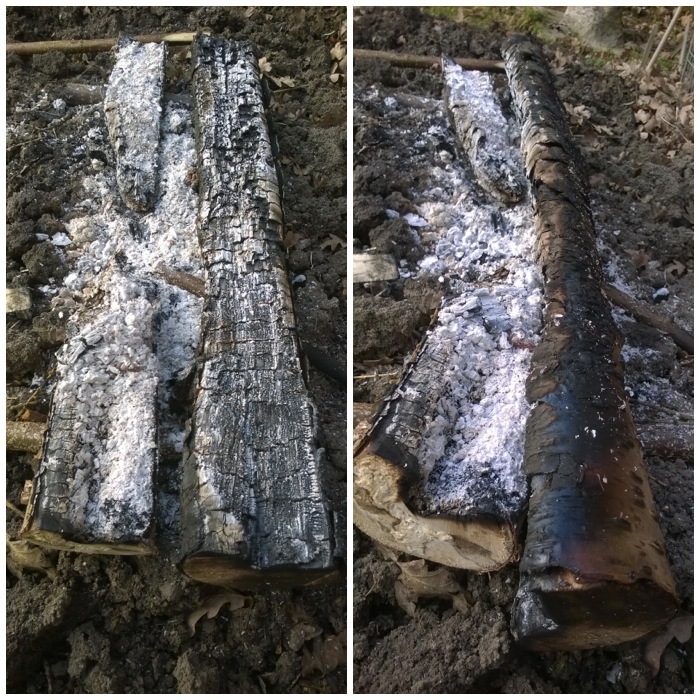 I have heard people say you need logs 8 -10 inches wide to last the night however the type of wood has a great affect on how long a fire will last as well. 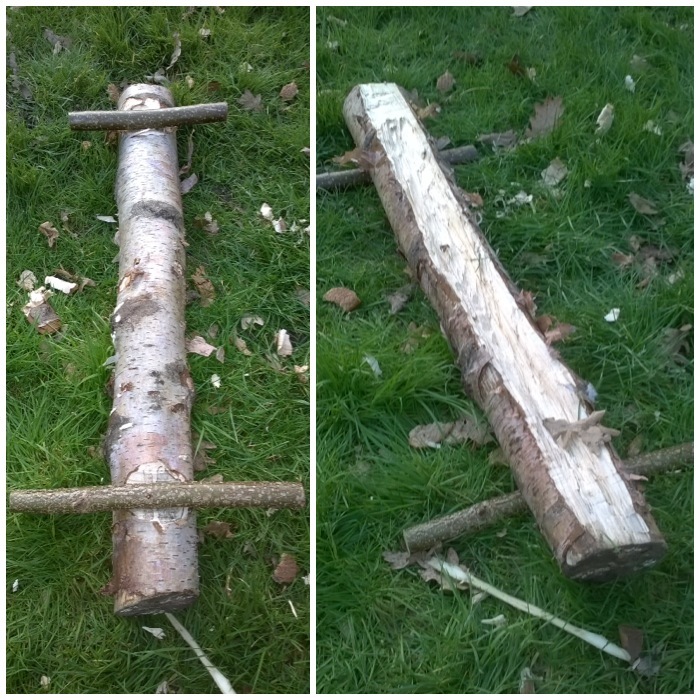 Hi Tom – This set up is highly adjustable with the wedges on either side, two logs are all that are needed and it does not take a competent woodsman long to make one. 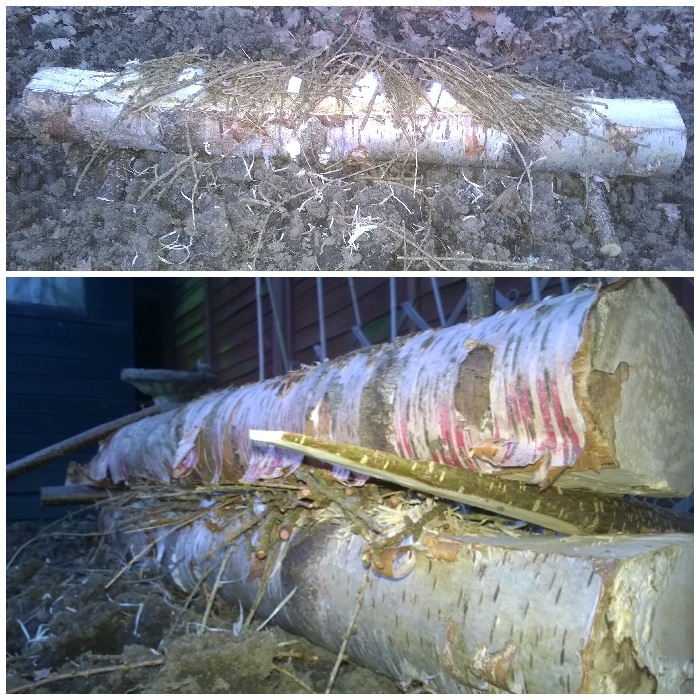 The Rakovalkea has been used in Scandinavia for a long time where dead standing dry timber is common place. All the chippings you take out of the trench you use to light the fire along with the likes of birch bark and pine/spruce resin. 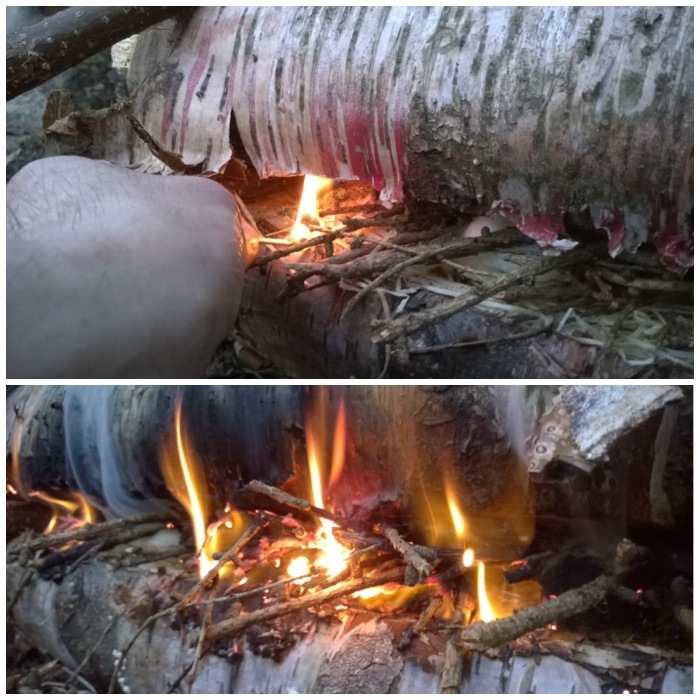 I wrote this article to document this type of fire and so allow people the chance to try it out for themselves. 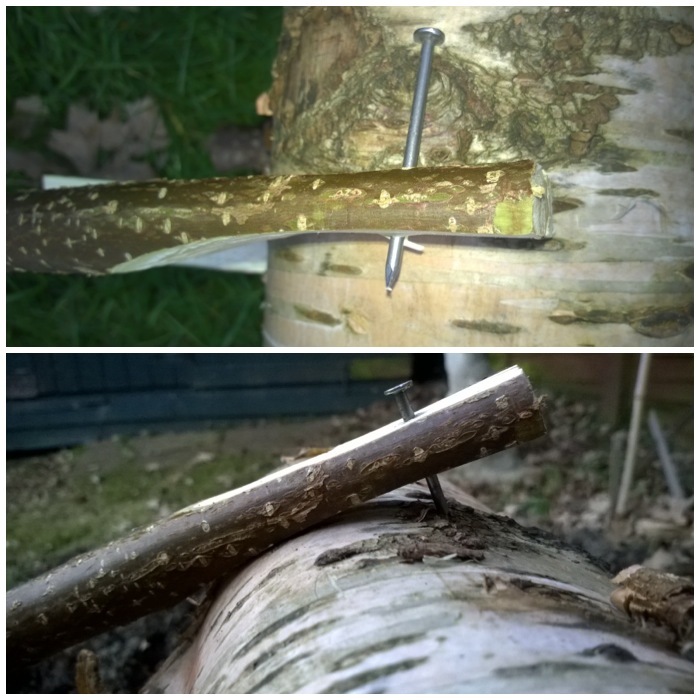 As to not having an axe out and about in the woods (especially in the winter) then there are plenty of other ways to get a fire going. 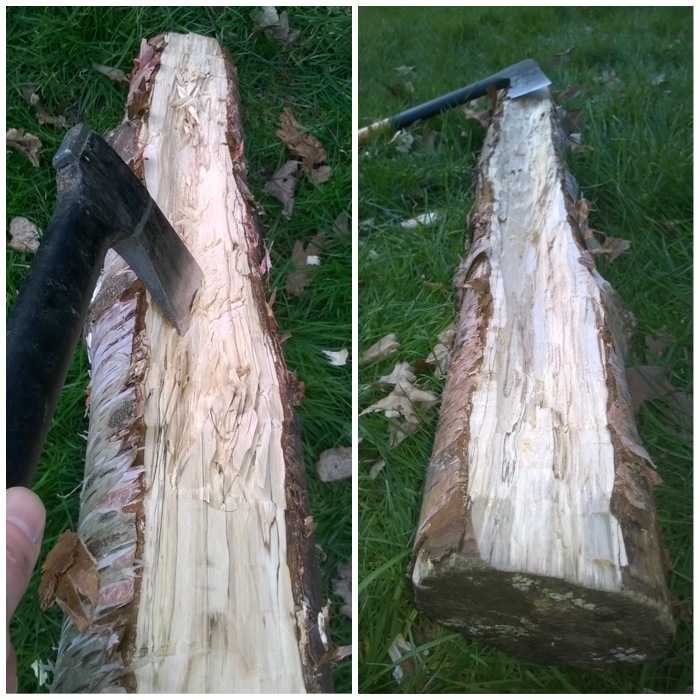 An axe just makes the job easy. Remember that this is a scaled down model and you need to click on the links to see the full scale versions and the type of environment it is designed for. 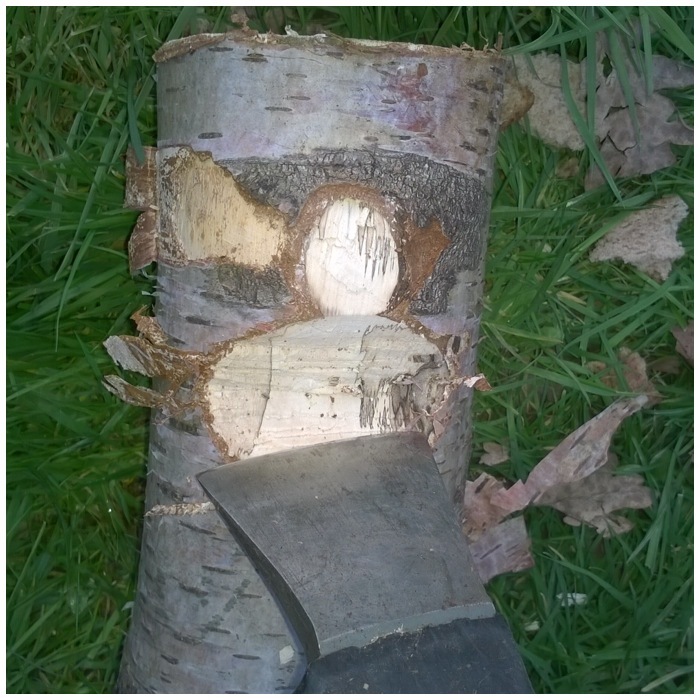 Who goes camping without an axe? That’s like watching a video on parallel parking, and saying, great, but what if I don’t have a car? I will be trying this soon. Thanks for the info. I will try a few different types of wood at same time. To see which is best for my neck of the woods. Thanks again. Best of luck Travis. Happy experimenting. 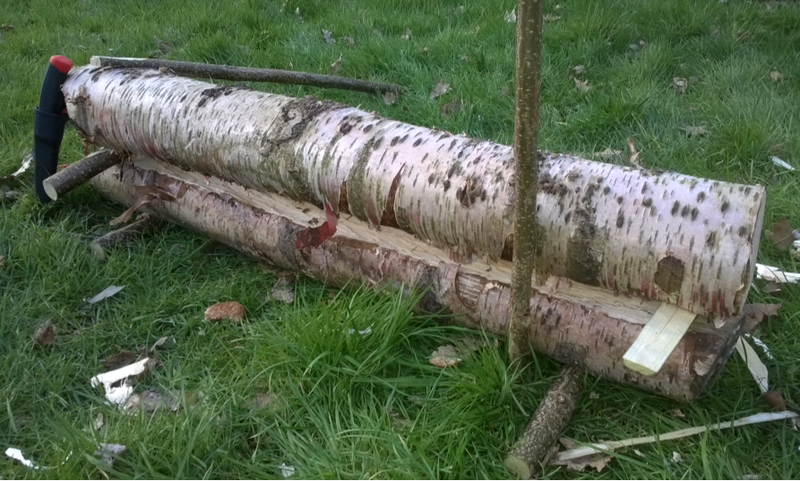 Good luck on finding large logs in the basically treeless Arctic! Can I ask why you say this Hazel when I wrote ‘Arctic conditions’ – referring to very cold environments? I think I can envisage what you are talking about. I have done something similar with a wall of logs supported by sticks. 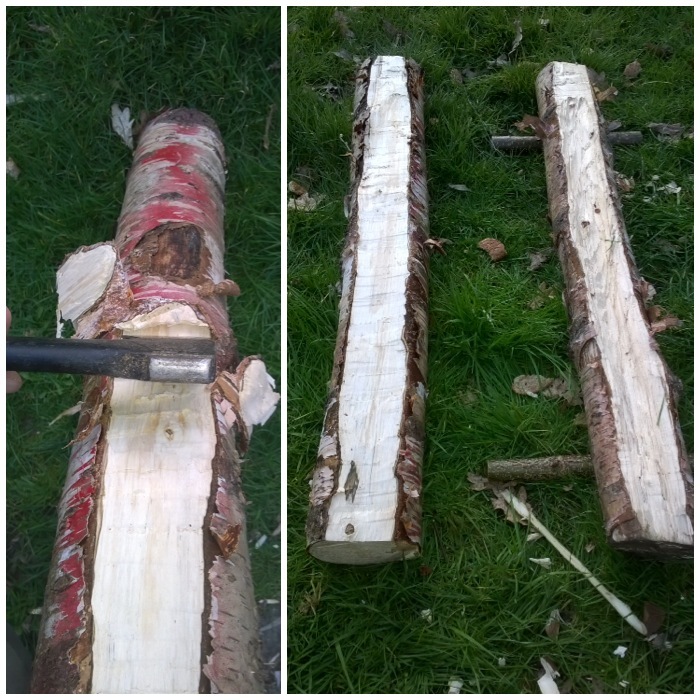 I think I had the angle about 45 degrees and as the bottom log burnt out the next one rolled in. The angle of the wall was such that the flames could not lick up the side of it easily and burn all the logs in one go. Best of luck experimenting though. 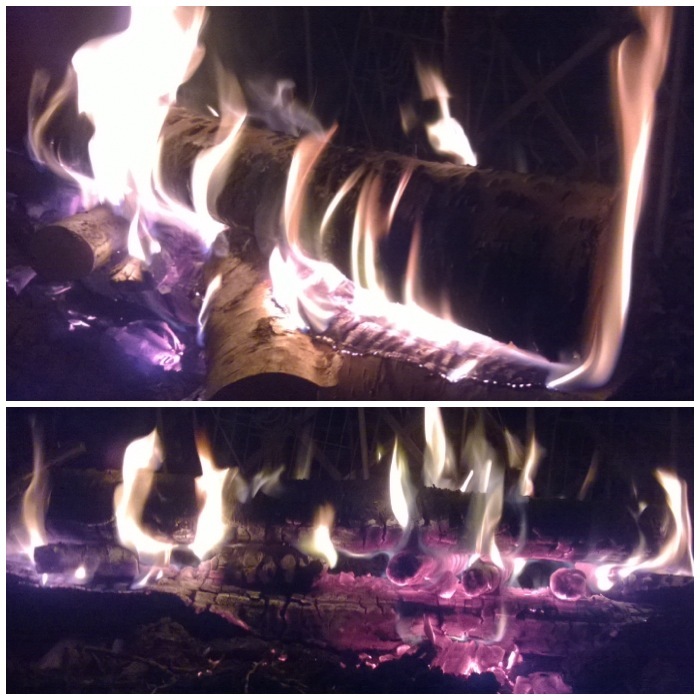 I learned how to build a similar fire while studing the ways of the early American & Canadian fur trappers. The source said it was a version that Native Americans used when traveling in hunting parties during the frigid months in the Pacific Northwest areas of North America. I was told that there were times when these fires would be burned for days at a time which meant they had to be fed somehow. Since I have never had to burn one for days I wonder how would I go about feeding/tending this fire in such an event. Any thoughts on the procedure for this? Many of these large fires were designed just so that they needed less tending than smaller ones require – so giving you longer periods of sleep in freezing conditions. 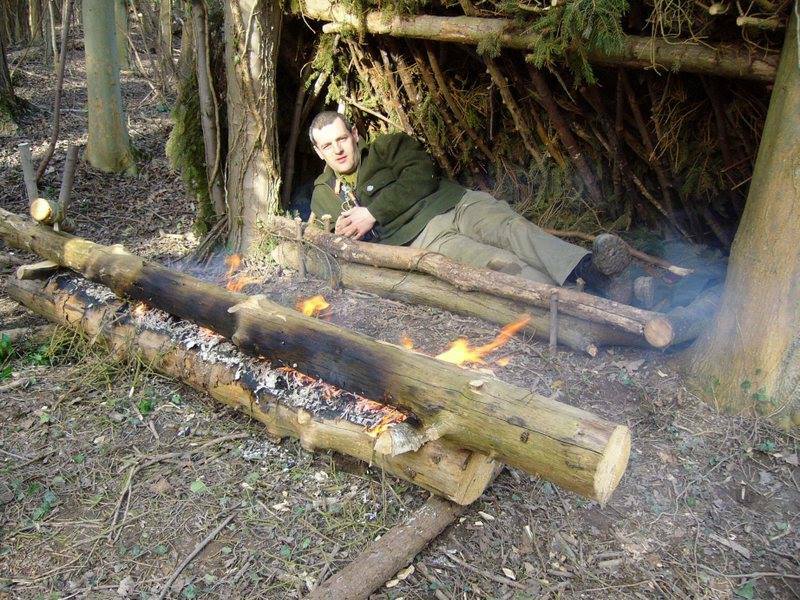 Apart from the Rakovalkea fire I have tried out long log fires with three main poles and one with a self feeding wall. 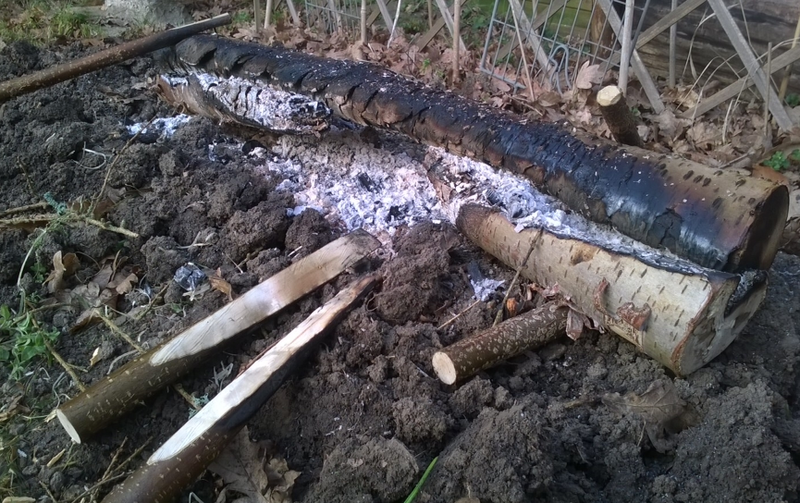 It is something I will look into as so far i have concentrated my efforts on Scandinavian log fires. 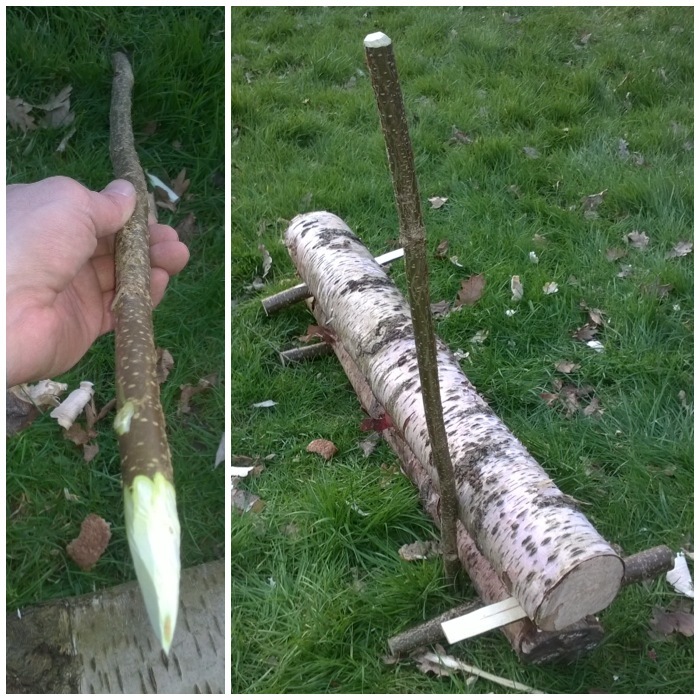 Maybe Mors has something on this in his Bushcraft book. Incredible photos!! Thank you so much for sharing this experience and for taking such great step-by-step photos!! 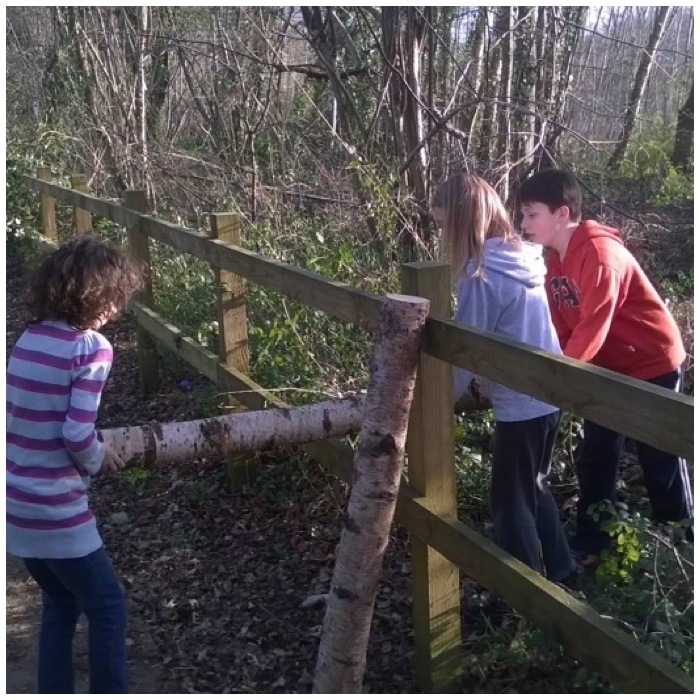 Just shared your photos and website on Pinterest! Great job!! 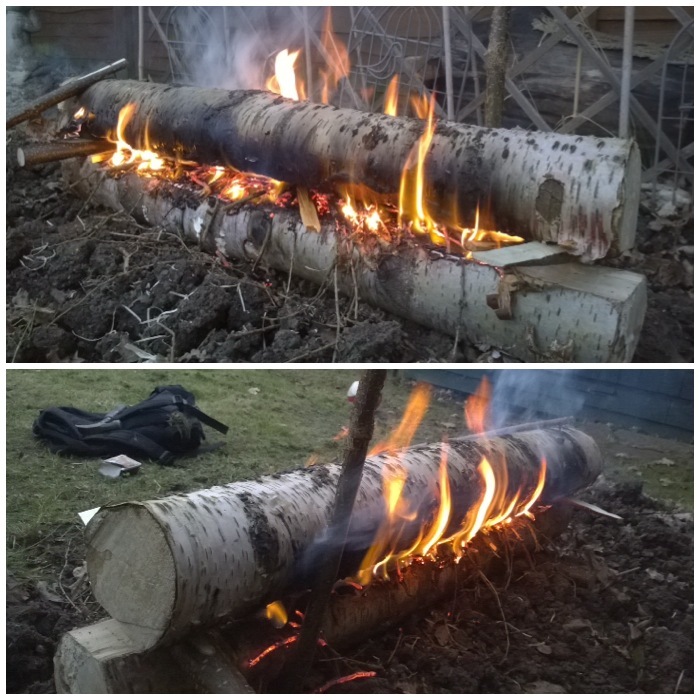 Thank you for sharing this, living in the north our winters can get very bleak so knowing how to make a long burning hot fire like this could really be a life saver. Thanks for posting so many photos as well, much better to understand then just a diagram. Glad you liked it. 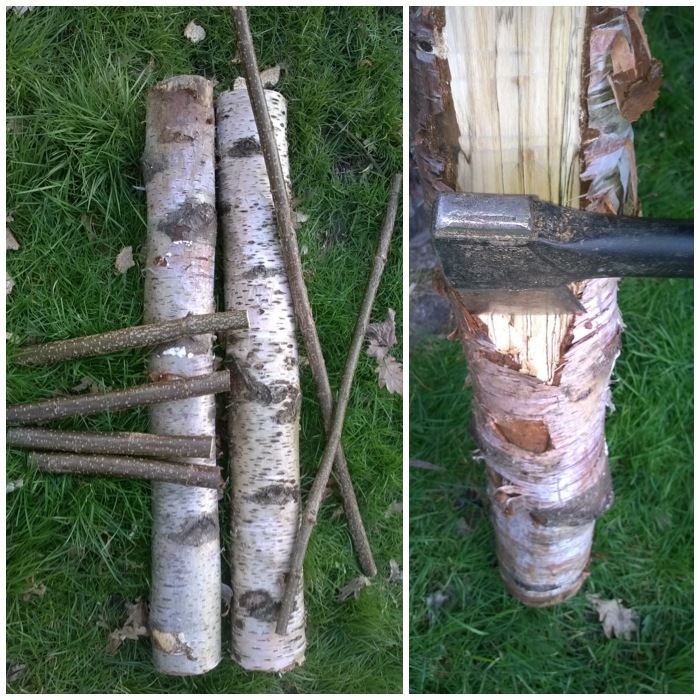 Hopefully you will have a good supply then of dry dead standing wood for the job. 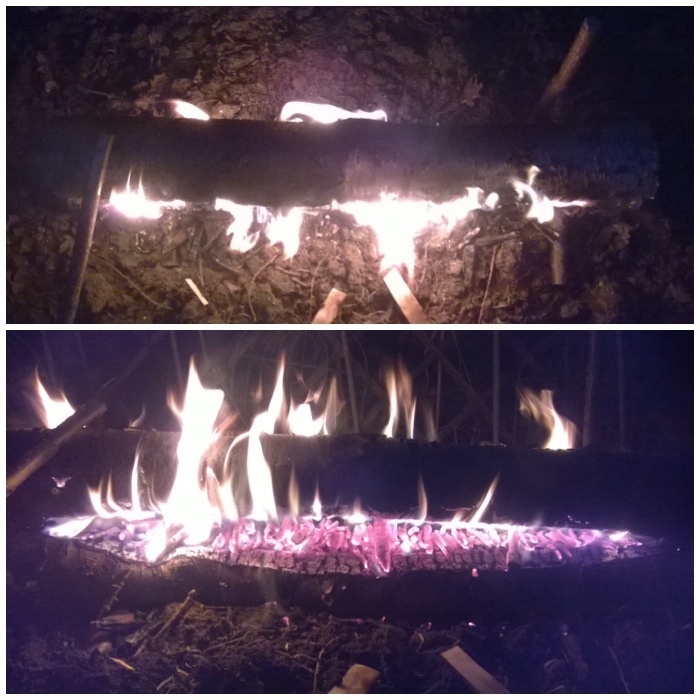 All the logs here have quite a high moisture content (even when seasoned) so this type of fire is harder to maintain. Thank you for introducing this process to the rest of the world. 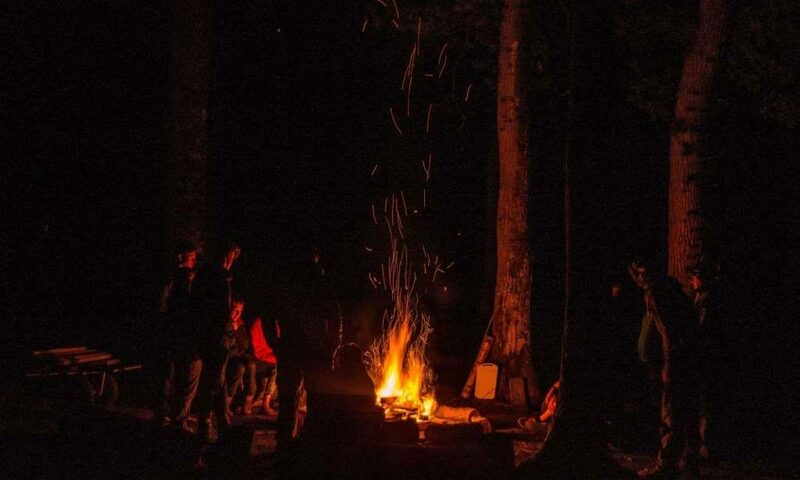 I’m a novice at camping and have had experiences where I didn’t get hardly any sleep for keeping the fire going. I’ll try this out next time. 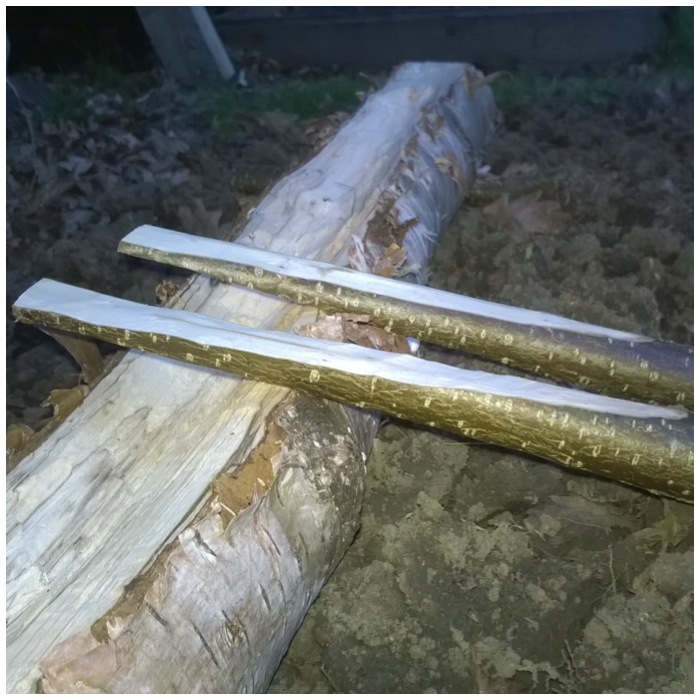 It appears that the length of the logs would allow for sheltering on either side.